Habitat works in partnership with families in your community to build and/or repair decent and affordable homes. Donors offer materials and financial support, volunteers provide free labour and families pay an affordable, no-profit mortgage. Please download the application form and call our office at 675-1222 / 674-5977 / 225-8375 / 225-8403 or email homeowners@habitat-tt.org for guidance on our application process. Let us see how we can start you and your family on the road to safety, strength and stability! Simple - Habitat houses are modestly-sized - large enough for your family's needs but small enough to keep construction and maintenance costs down. Decent - Habitat uses quality building materials. Trained staff supervise house construction and educate volunteers and homeowners. Affordable - Our volunteers' and partner families' labour, efficient building methods, modest house sizes and no-profit, no-interest loans make owning your home a reality. Own land, or have permission to build from a landlord. Have a total household income of $1,000 - $8,000 TT per month (USD 166-1,333). Contribute 300 hours of “sweat equity” towards the building of their house and other Habitat community projects. This means each family contributes labour to the construction of their own home (the sweat equity requirement can be waived in the case of differently-abled persons). Be able to make monthly mortgage payments on a no-profit loan tailored for your family. At Habitat, projects can be partially funded by donations or grants, but homeowners are proud to pay for the bulk of their homes or repairs with these no-profit mortgages. From the filing of your application, through assessment, approval and construction, it generally takes nine months to build a Habitat home, once all documents, donors and volunteers are in place. All Habitat Trinidad-Tobago houses are built according to plans pre-approved by the Town and Country Planning Division. New houses - either concrete block, wood or pre-engineered steel frames - are complete with electricity, running water, indoor plumbing and bathrooms. The maximum loan amount for these shelter solutions is TT$60,000. For further information or to find out if your family qualifies for assistance from Habitat Trinidad-Tobago, please call our Community Development Department at 675-1222 or email us at homeowners@habitat-tt.org. If you have a deed to the land for the building site, earn between $1000 and $8000 per monthly and are willing to contribute 300 hours of work on your house and another Habitat project, then call our office at 675-1222 / 674-5977 / 225-8375 / 225-8403 or email homeowners@habitat-tt.org for guidance on our application process. You can also download an application at Homeowner Application Form 2017 We can provide a range of shelter solutions, depending on how your personal circumstances match our qualifying criteria. 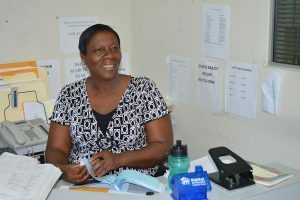 Habitat provides microloans, materials and technical assistance for repairs and renovations on homes (you supply the labour), up to TT$60,000; this offers an alternative to a full house for persons who do not have land. All potential Homeowners are required to pay a non-refundable processing fee of $100 upon submission of their application. This does not include the title search fee, which is required for the execution of approved mortages. Please note, this payment is only for the application process; it does not guarantee approval of your application. For further information or assistance, please call our Community Development Department at 675-1222 or 225-8375 or email us at homeowners@habitat-tt.org .